Dabotap Pagoda and Seokgatap Pagoda (the Three-story Stone Pagoda of Bulguksa Temple, National Treasure No. 21) are the two most renowned pagodas in Korea. They are similar in height (10.29m and 10.75m), and stand facing each other, Dabotap Pagoda in the east, Seokgatap Pagoda in the west, between Daeungjeon Hall and Jahamun Gate of Bulguksa Temple . Dabotap is a unique type of pagoda, while Seokgatap Pagoda (also known as “Sakyamuni Buddha Pagoda”) is representative of the more general type of stone pagoda. The two pagodas were built at the same site to reflect the content of the Saddharmapundarika Sutra (The Lotus Sutra), in which the Dabo Buddha (“Buddha of the past”) stands beside Sakyamuni (“Buddha of the present”) to prove that his Buddhist sermon is right. 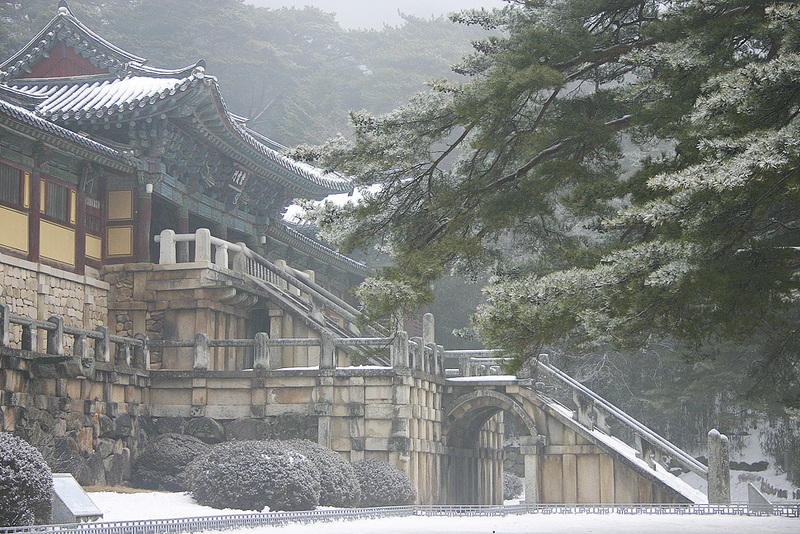 Bulguksa Temple was founded by Kim Dae-seong’s offer in 751 (the 10th year of the reign of King Gyeongdeok of Silla). Samguk yusa (Memorabilia of the Three Kingdoms) states that Kim Dae-seong built Seokguram Grotto for his parents in his former life, and Bulguksa Temple for his present parents. However, the temple was not completed at the time of his death, so it was finished afterwards by the kingdom, and in the end, the temple was run not for the private individual Kim Dae-seong but for the benefit of the kingdom as a whole. Bulguksa Temple can be said to be the realization of the Buddhist paradise in which Buddhist monks of past, present, and future live together. It clearly reveals aspects of the spiritual world of the people of Silla. While it is perfectly clear that Seokgatap Pagoda is a three-story pagoda standing on a two-story platform, it is difficult to count the number of stories of Dabotap Pagoda. In fact, even experts have diverging opinions, with some saying it is has four stories and others that it has only three. However, the uniqueness of Dabotap Pagoda can be seen in the structure of each part. Stone staircases are attached to each side of the cross-shaped platform, with an octagonal pagoda body surrounded by square railings placed upon it. It is presumed that the pagoda was built in 751 during the construction of Bulguksa Temple. This work is a masterpiece that beautifully expresses the complicated structure of wooden construction without any distraction by the use of through novel ideas. The work exhibits the artistic sensibility of Unified Silla through its well-organized structure consisting of squares, octagons, and circles, and in its length, width and thickness, which are standardized in every part. During the Japanese Colonial Period, the Japanese dismantled and repaired the pagoda around 1925, but they left behind no records of this work. 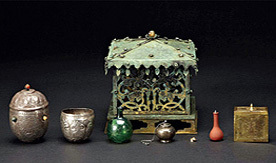 In the process, Artifact, reliquaries, and other artifacts that must have been placed inside the pagoda all disappeared. 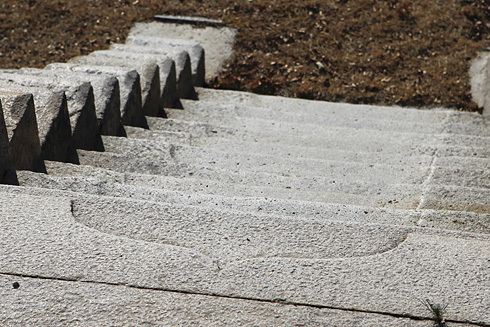 In addition, of the four lions originally placed on the stone staircases of the pagoda, the Japanese took away three, all of which must have been in good condition. Though there have been continuous efforts to retrieve these precious cultural heritages, no trace has been found of them as yet. The Seokgatap Pagoda(the Three-story Stone Pagoda) of Bulguksa Temple and Dabotap Pagoda (National Treasure No. 20) stand to the west and east of the frontal area of the temple’s Daeungjeon Hall, respectively. The Three-story Stone Pagoda is also called Seokgatap (“Sakyamuni Buddha Pagoda”). The two pagodas were built at the same site to reflect the content of the Saddharmapundarika Sutra (The Lotus Sutra) in which the Dabo Buddha (“past Buddha”) stands beside Sakyamuni (“present Buddha”) to prove that his Buddhist sermon is right. The three-story body of this stone pagoda stands on a two-story platform, displaying the traditional style seen in the East and West Three-story Stone Pagodas at the Gameunsa Temple Site, Gyeongju (National Treasure No. 112) and the Three-story Stone Pagoda at the Goseonsa Temple Site, Gyeongju (National Treasure No. 38). This style of stone pagoda reached its peak in the mid-8th century during the Unified Silla Period. The two-story platform was strong enough to sustain the full weight of the pagoda. Imitating the wooden construction style, the pagoda features stone pillar-shaped carvings at each corner of the upper and lower platform. Such carvings were also made on the pagoda’s body, and the corners of the roofstone are all raised, lending the pagoda an impression of lightness, as if ready to fly away. Although the platform and body of the pagoda are simply expressed without decoration, its upper extremity looks splendid. In fact, the original finial of this pagoda is assumed to have been lost sometime before the 16th century, and was only restored in 1973, imitating the ornamental finials of the East and West Three-story Stone Pagodas of Silsangsa Temple, Namwon (Treasure No. 37), which were made 100 years later than this pagoda. The pagoda is marked out, being surrounded by stones with lotus designs in every direction. It is separated to stand for the divine place for enshrining the Artifact of Buddha. The mark makes the pagoda look grander, being more or less unique to this pagoda and rarely seen elsewhere. The work looks very settled from any direction due to its excellent balance, and exudes simplicity and grandeur. Its construction can be loosely dated to shortly after the time when Bulguksa Temple became properly established as a temple, which, according to a record about the temple, was around 751. For many centuries the original structure was preserved in perfect condition, but, regrettably, it was damaged by robbers in September 1966. Afterwards, in December of the same year, the pagoda was perfectly reconstructed, leading to the discovery of a square space (in the front side of the second story of the pagoda’s body) containing Artifact associated with the Buddha. Various artifacts and reliquaries were found there, the most prominent of which was the Spotless Pure Light Dharani Sutra (National Treasure No. 126). Printed on mulberry paper, this sutra is the world’s oldest material printed by woodblocks. The pagoda is also known as Muyeongtap, literally meaning “a pagoda that casts no shadow.” This alternative name is related to the sorrowful legend of Asadal, a mason of Baekje who built Seokgatap Pagoda, and his wife Asanyeo. It is said that Asanyeo came to Seorabeol, the capital city of Silla, to meet her husband, but when she was unable to find him, she became desperate and drowned herself in a pond. Daeungjeon and Geungnakjeon, the prayer halls of Bulguksa Temple, can be reached by two ways – via Cheongungyo and Baegungyo Bridges to the east, or via Yeonhwagyo and Chilbogyo Bridges to the west. The latter two bridges are connected to Anyangmun Gate, which leads to Geungnakjeon Hall, and it is said that these bridges were not destined for earthly people, but only for those who had realized the Buddhist paradise. The bridges are made of eighteen steps of which ten on the lower part are called Yeonhwagyo Bridge and eight at the upper part are called Chilbogyo Bridge. They are smaller than Cheongungyo and Baegungyo Bridges, but share certain structural similarities, including the unique formation of the bridge-shaped staircase, the 45-degree slope, and the rainbow-shaped arches of the bridges. 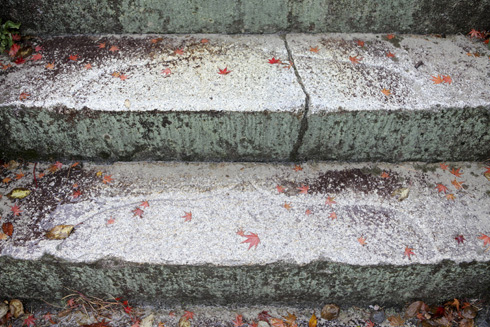 Despite these similarities, however, each has its own unique characteristic, such as the prominent carvings of lotus flower petals on each step of Yeonhwagyo Bridge, which unfortunately have faded due to the tramping of feet over the centuries. (As such, access to the bridge is now restricted.) 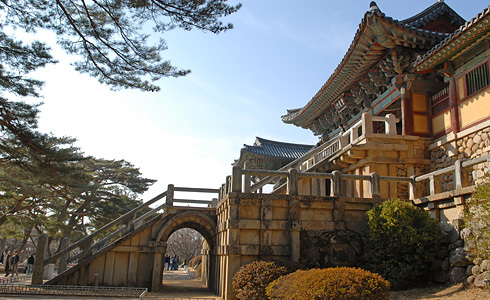 It is said that these bridges were built in 751 (the 10th year of the reign of King Gyeongdeok of Unified Silla), and have been continuously crossed by numerous visitors to this temple. The Queen of King Heongang, who became a Buddhist monk to pray for an easy and peaceful death for her husband, also used these bridges to reach the temple and offer prayers there. Yeonhwagyo and Chilbogyo Bridges exhibit a delicate beauty, while Cheongungyo and Baegungyo Bridges in the east display a grand beauty. Together these magnificent bridges lend additional harmony to Bulguksa Temple as well as a variation of formative beauty. Daeungjeon and Geungnakjeon, the prayer halls of Bulguksa Temple, can be reached by two ways – via Cheongungyo and Baegungyo Bridges to the east, or via Yeonhwagyo and Chilbogyo Bridges to the west. Cheongungyo and Baegungyo Bridges are connected to Jahamun Gate, which leads to Daeungjeon Hall, and are considered to be symbolic structures that connect the world of common people under the bridge with the world of Buddha over it. The bridges consist of thirty-four steps of which the sixteen steps forming the upper part are called Cheongungyo Bridge and the eighteen steps forming the lower part are called Baegungyo Bridge. These bridges are sometimes compared to life itself, the former standing for ‘green youth’ and the latter for ‘white-haired elders’. The structure is unique in bridge-shaped staircase, and the climbing slope is elaborately trimmed in 45 degrees. Since the under part of the bridges is rainbow-shaped arch, it make smooth and vital the view that is hardened by the rectilinear lines. It is said that there used to be a pond under the reinforced stonewall where the bridges are. Even now, a device making water fall down remains to the left of the staircase. It is said that when water fell from here, a rainbow was created by the spray from the falling water. Presumed to have been built in 751 (the 10th year of the reign of King Gyeongdeok of Unified Silla), these structures are very precious because they are the only bridges of the Silla Period to have survived fully intact. Furthermore, the rainbow-shaped arch of the under part is of great significance as it provides an indication of the earliest use of arches in stone bridges and fortress gates. 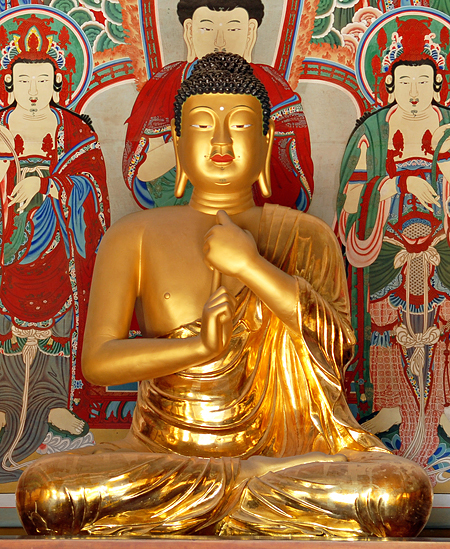 This 1.77-meter-tall Vairocana Buddha, who is said to save all humanity with a benign light, is enshrined in Birojeon Hall of Bulguksa Temple. Its head has a form of two top shells fixed to each other, displaying a refined technique, and the long rich face looks fleshy. The thinly expressed robe covers the left shoulder while leaving the right shoulder exposed, revealing the dignified form of the body. The robe is draped on the left arm and the U-shaped folds are around the front part of the body. 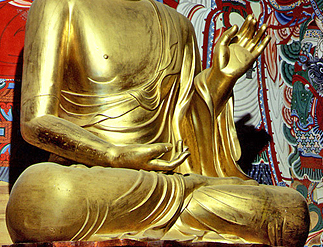 The index finger of the right hand gently covered by the left hand is unlike the posture usually seen on statues of Vairocana Buddha. The firmly built shoulders, voluminous chest and slim waist of the statue make it an ideal and highly refined work of the Unified Silla Period. This statue is regarded as one of the three greatest gilt-bronze Buddhist statues of the Unified Silla Period, along with the Gilt-bronze Seated Amitabha Buddha of Bulguksa Temple (National Treasure No. 27) and the Gilt-bronze Standing Bhaisajyaguru Buddha of Baengnyulsa Temple (National Treasure No. 28). 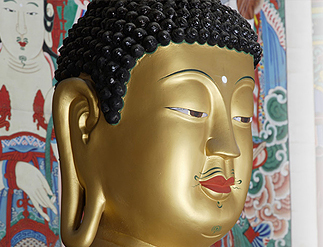 This 1.66-meter-tall statue of Amitabha Buddha is enshrined in Geungnakjeon Hall of Bulguksa Temple. The Buddha has a cranial protuberance on top of his head, while the face has a benign look, with semicircular eyelashes and a shapely nose. The broad shoulder, imposing chest and nice shape create a strong and magnificent impression, while the wide-open lap makes the statue look more balanced and stable. The robe, thrown over the left shoulder with the right shoulder exposed, is roughly folded; especially the folds protruding from the inside of collar were so vividly expressed. The slightly narrowed left hand, raised to the shoulder, shows the palm, while the right hand, with the index and middle fingers bent a little, lies on the lap. The firmly built shoulders, voluminous chest and slim waist of the statue make it an ideal and highly refined work of the Unified Silla Period. 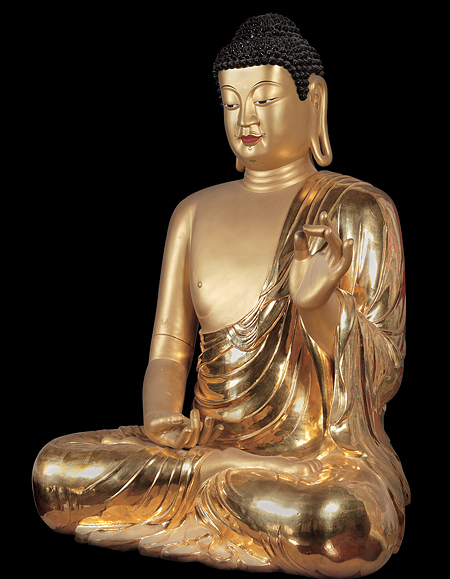 This statue is regarded as one of the three greatest gilt-bronze Buddhist statues of the Unified Silla Period, along with the Gilt-bronze Seated Vairocana Buddha of Bulguksa Temple (National Treasure No. 26) and the Gilt-bronze Standing Bhaisajyaguru Buddha of Baengnyulsa Temple (National Treasure No. 28).